It's easy to refund your train or bus ticket in your Loco2 account, as long as the ticket you bought permits it. Following is everything you need to know about how to claim a train or bus ticket refund. Please note that if you are seeking a refund for an unused train or bus ticket, you are still bound to the fare conditions. You can request a refund via your Loco2 account. It only takes a minute and you'll get instant confirmation! Even if you didn't register for an account when you placed your order, if you sign up with the same email address later you'll find previous orders stored in the new account. Find the journey you want to refund under Your trips in your account. Review its fare conditions to see the options and any fees. Select "Cancellation options" to specify the changes you want to make and request a refund. 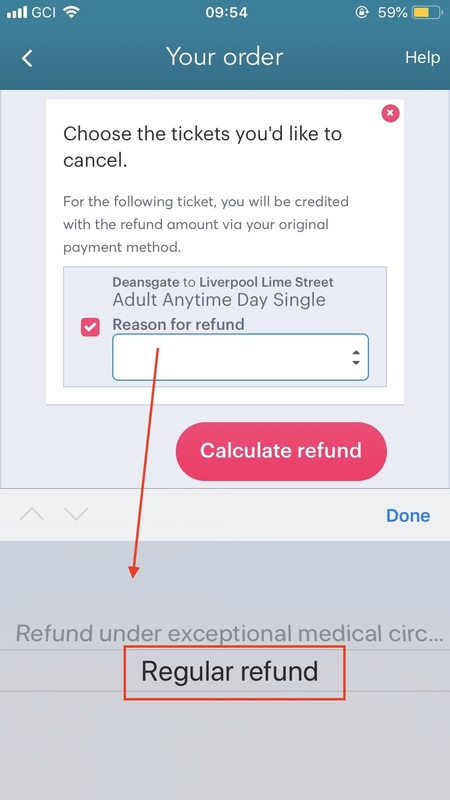 Select which journeys and passenger(s) you wish to cancel, and select "Calculate refund". For some tickets, it is only possible to cancel the entire order, i.e. the outbound and return or all passengers. You'll see a breakdown of your ticket price, cancellation fees and refund due. Click "Confirm" to proceed with the refund. Once you confirm your refund, we'll send an email confirming the details. You'll also see a note alongside the cancelled ticket. Your payment card will be credited immediately and the refund will show in your account within a few days. 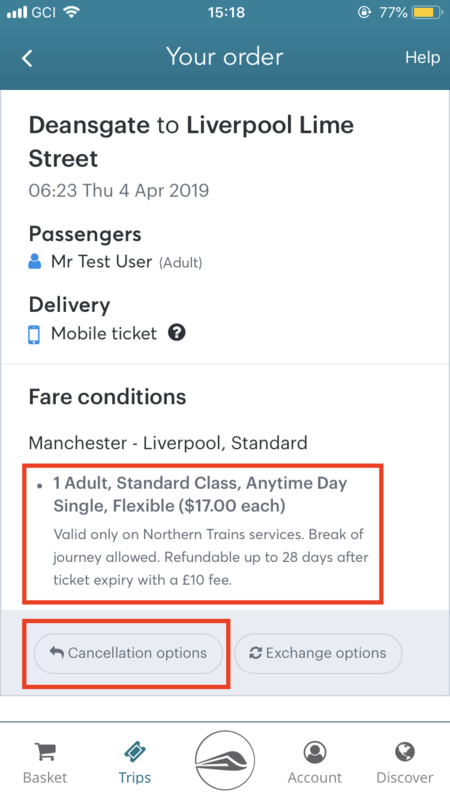 UK rail operators will ask you select a refund reason. Be careful to select the correct one! For some UK tickets you can request a refund for cancelled trains or exceptional circumstances (medical reasons or bereavement). These refunds require proof, so please don't choose this option if you can't provide evidence. 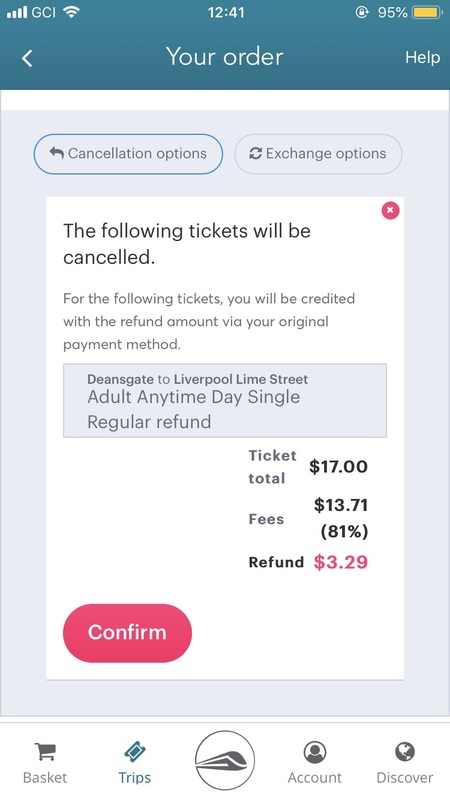 If you chose a non-refundable ticket, you won't be able to cancel it via your Loco2 account. We are bound by the fare conditions that are set by the rail operator, so we can only change or cancel your order if the fare conditions permit it. Under some exceptional circumstances, for example the hospitalisation of a passenger on the date of travel, or death of a close relative, we may be able to obtain a refund on your behalf by submitting a claim. See Submitting a claim for non-flexible tickets for more information.